The latest from adidas is a pack that is certainly interesting. Dubbed the “Oil Spill” pack, these probably won’t be a huge hit in the Gulf of Mexico, but maybe fans of cheesy 90’s accessories will enjoy these. 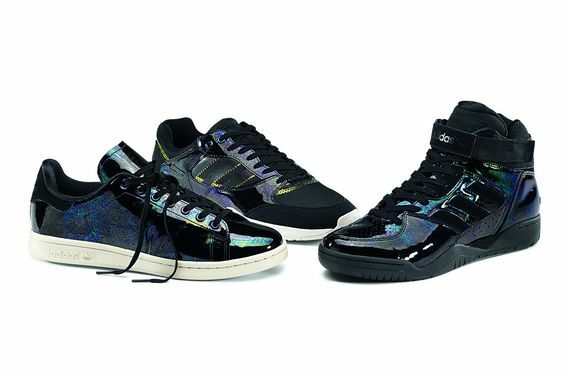 Drenched in what is being called “Italian” leather, these kicks have an oil-esque appearance that gives off a glitter/rainbow vibe that is exactly what we’ve all been begging to see the Stan Smith, Tech Super and Enforcer in (sarcasm). These will be hitting shelves Feb 1st, let us know what you think of these.